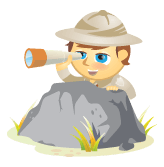 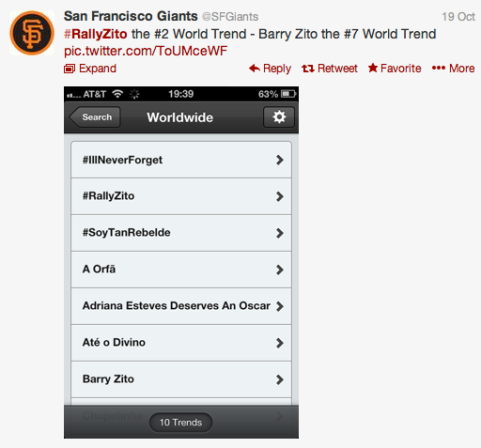 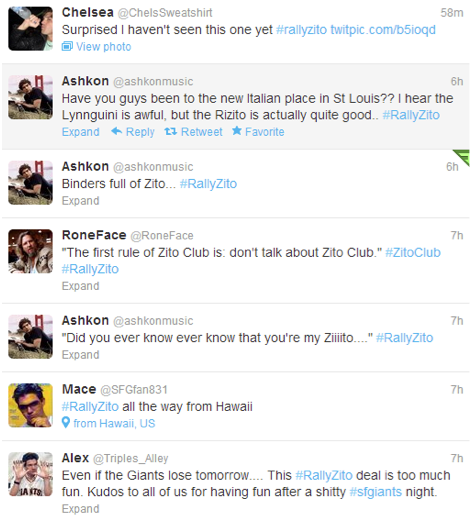 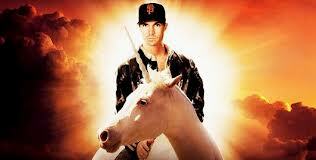 One of the creative Twitter avatars during the Giants' #RallyZito craze. 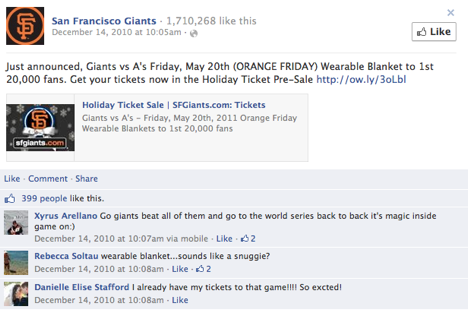 The Giants’ wearable blanket promotion announcement generated buzz on Facebook. 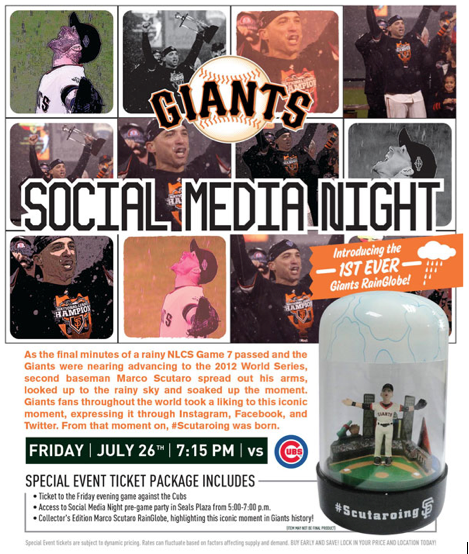 The Giants made a fan’s rain globe idea into a giveaway on social media night.